Simply the fastest speedloader ever made. 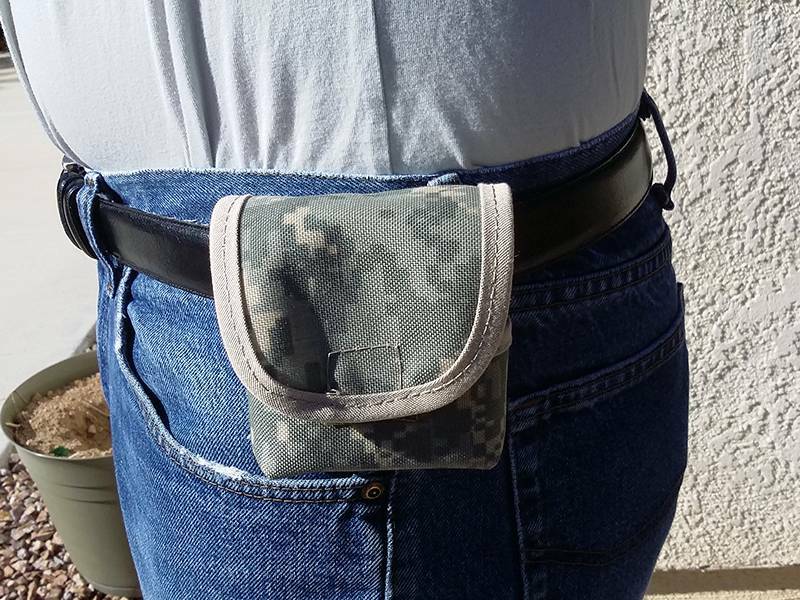 This rugged one-piece design is made out of tuff stuff and is to the Revolver what the magazine is to the Semi-Auto. Fast, sure reloads! Its features include unidirectional grooves and retention clips to hold the cartridges firmly in place allowing precision alignment with the cylinder chambers. 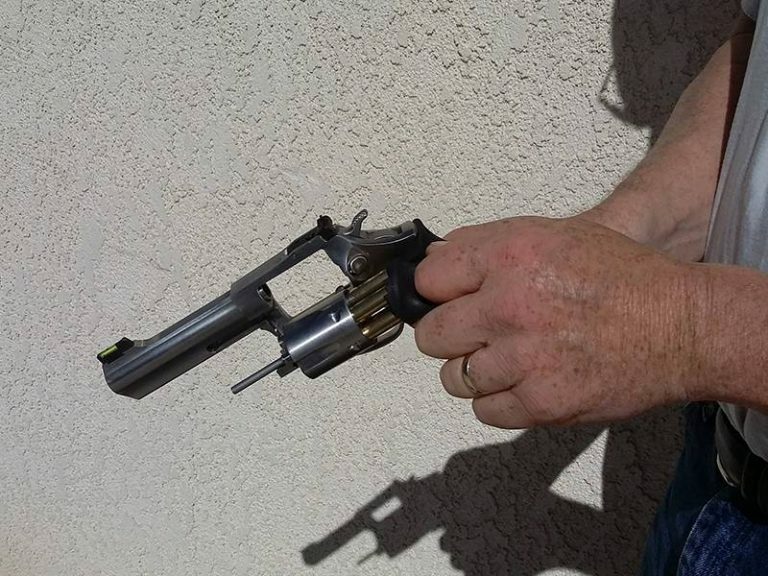 It’s flat on the forward leading side for maximum clearance, its handle is off set for ease of use with revolver speedloader unfriendly handles. A quick sideways pull releases the loader without spilling the cartridges. 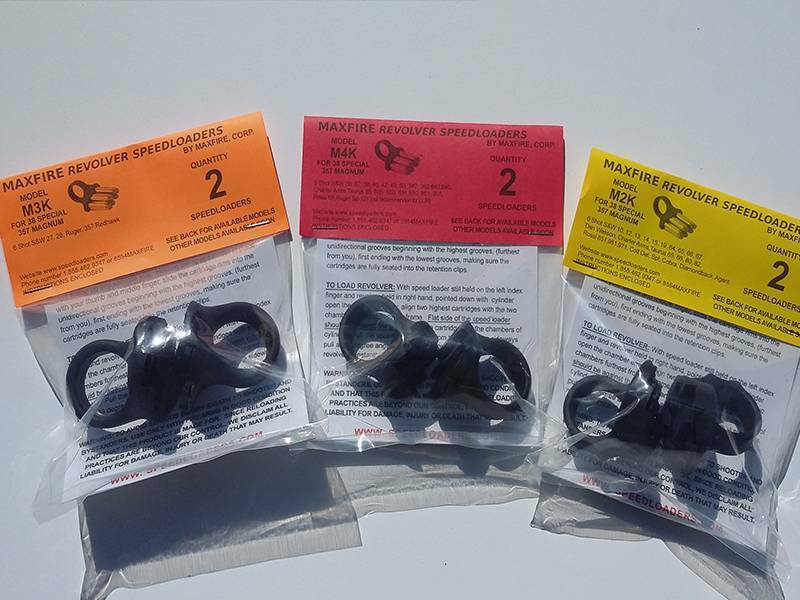 Suggested retail price is $15.95 for a package of 2 speedloaders . 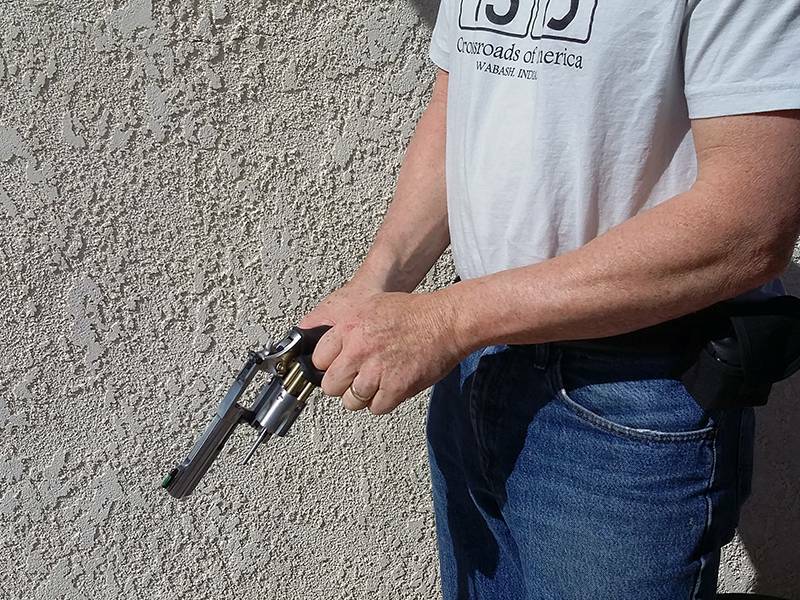 Here is a quick video of our speedloader in action. The MAXFIRE speedloader has no mechanical moving parts. The MAXFIRE speedloader uses unidirectional grooves and retention clips to hold the cartridges firmly in place, allowing precision alignment of the cartridges and the chambers of the cylinder. 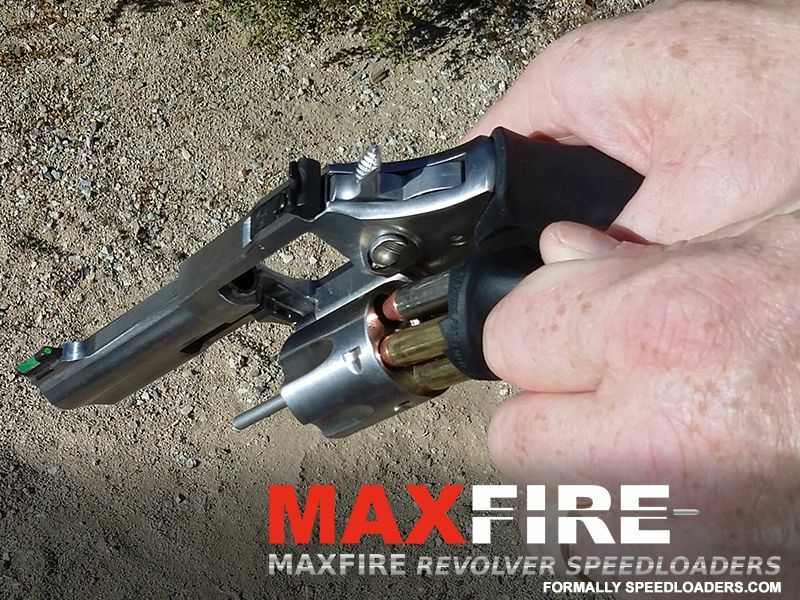 The MAXFIRE speedloader is stair stepped allowing speed of alignment of the cartridges and chambers of the revolver cylinder. 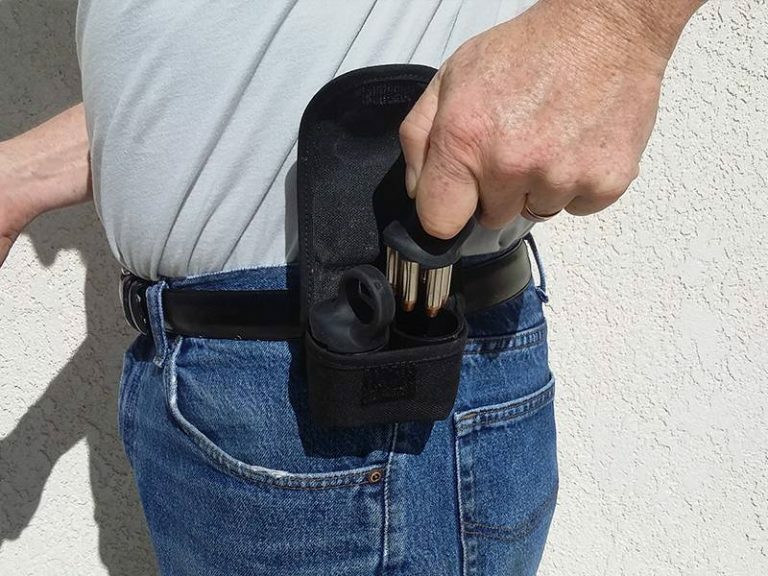 The MAXFIRE speedloader is flat on the forward side to obtain maximum clearance. The MAXFIRE speedloader uses an offset handle to clear all protrusion from the revolver, such as the handle and the cylinder release. 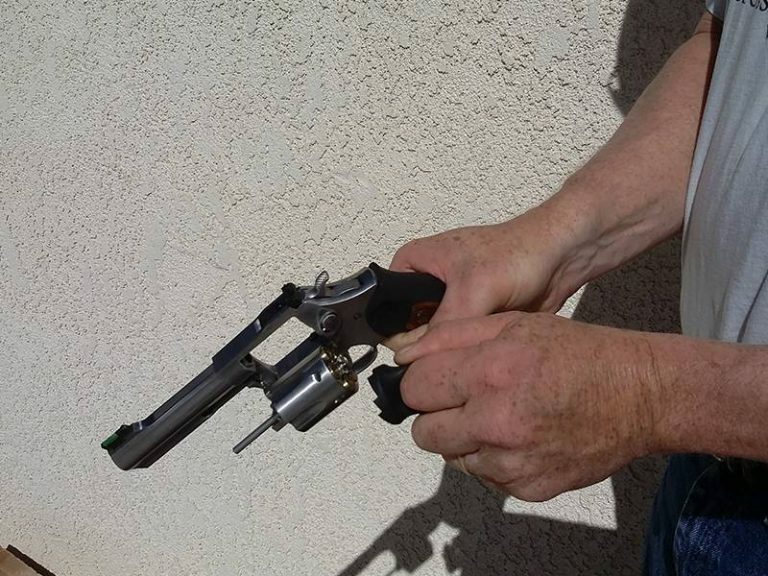 The MAXFIRE speedloader uses a ring type finger handle and can be worn and retained on the finger before, during, and after reloading. For every action, there is an opposite and equal reaction. 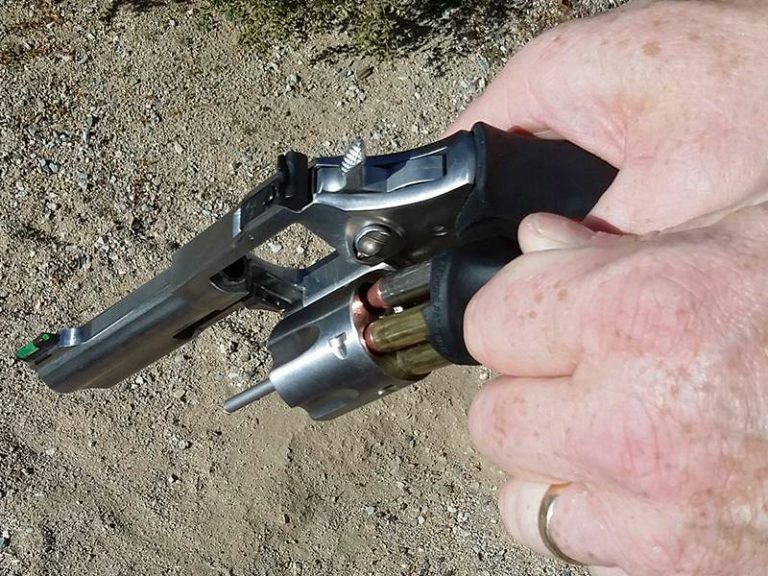 Because of the sideways pull to release the cartridges from the speedloader into the chambers of the cylinder. 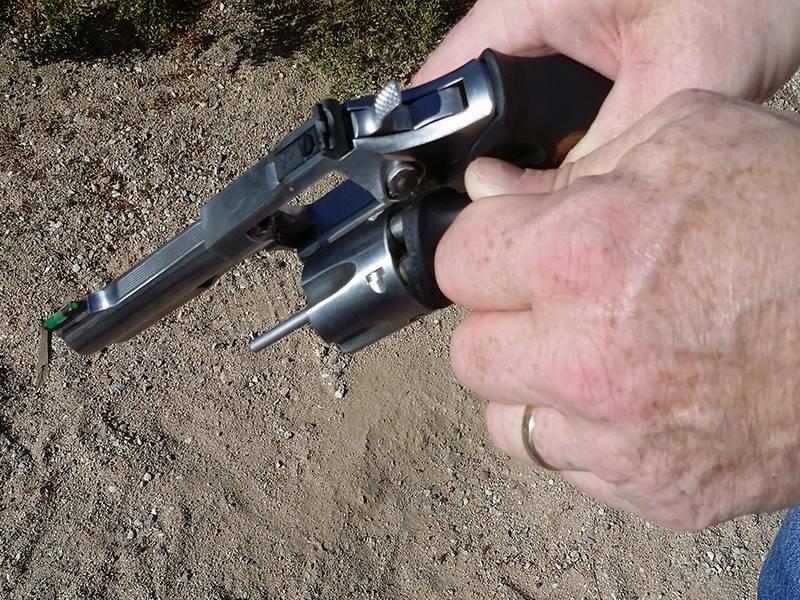 The opposite reaction in this case is the revolver cylinder auto closing when the cartridges are extracted. "The product is a single piece molding of soft rubber compound that grips six rounds and loads 'em quickly." TNN's AMERICAN SHOOTER, Gun Tech, Aug. 2000, "loads 'em quickly"
HANDGUNS magazine Shooters Box, Oct. 2000, "without the usual fiddling around"
SHOTGUN NEWS SGN New Products, Jan. 29, 2001, "simplicity to speedloading"